Wireless Sensor Ad-Hoc Networks: Node placement for Connectivity/Survivability; Energy Harvesting, Sensors designs and development; Security, Privacy, and Anonymity in Communication. Smart Grid: Secure, Resilient, and Scalable Network and Communication Architecture design. Future Internet: Scalable and Holistic Protocol design for users privacy & security and efficient system utilization. Social Networks: Anonymity in Social Graph Structures, Security from Sybil Attacks, Use of Social Networks for improving Human Communication. High Performance Computing: Expanding on one-sided communication primitives and scaling them for exascale High Performance Computing. 3/3/2015: Abu-Saleh Md. Tayeen, my seventh student to graduate, successfully defended his M. S. thesis titled, "Sybil Exposed: A Sybil Community Detection Algorithm for Online Social Networks." Congratulations to Abu-Saleh! 12/15/2014: Sanian Gaffar, my sixth student to graduate, successfully defended his M. S. thesis titled, "State of the Art, Study One-Sided Communication in High Performance Computing." Congratulations to Sanian! 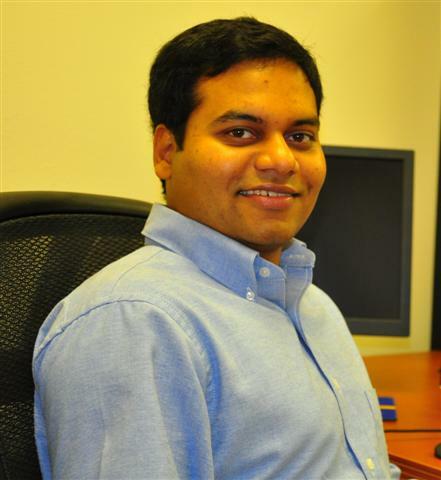 7/12/2013: Krishna Cherukuri, my fifth student to graduate, successfully defended his M. S. thesis titled, "Survey of Attacks and Security Measures in Delay Tolerant Networks." Congratulations to Cherukuri! 11/2/2012: Jharrod LaFon, my fourth student to graduate, successfully defended his M. S. thesis titled, "Distributed Tree Walk on Parallel Filesystems." Congratulations to Jharrod! 11/1/2011: Reza Tourani, my third student to graduate, successfully defended his M. S. thesis titled, "FaSt: Framework for Secure Content Delivery with High Availability and Efficiency in Content-Centric Networks." Congratulations to Reza! 11/1/2011: Kabi Bhattarai, my second student to graduate, successfully defended his M. S. thesis titled, "Security and Privacy Algorithms for Wireless and Social Networks." Congratulations to Kabi! 08/15/2011: I was awarded the NMSU Early Career award for Scholarly Activity 2011. 08/14/2011: I was invited to serve as a feature editor for "IEEE Wireless Communication" Magazine. 11/05/2010: Sowmya Myneni, my first student to graduate, successfully defended her M. S. thesis titled, "SARP: Secure And Resilient Protocol design for Wireless Sensor and Ad Hoc Networks." Congratulations to Sowmya! 08/16/2010: I started serving on the Editorial Board of the journal, "IEEE Communications on Surveys and Tutorials."